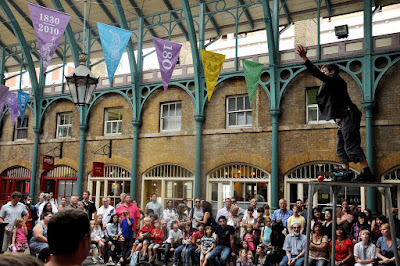 Picture London: Covent Garden: Where People Juggle Chainsaws. Covent Garden: Where People Juggle Chainsaws. 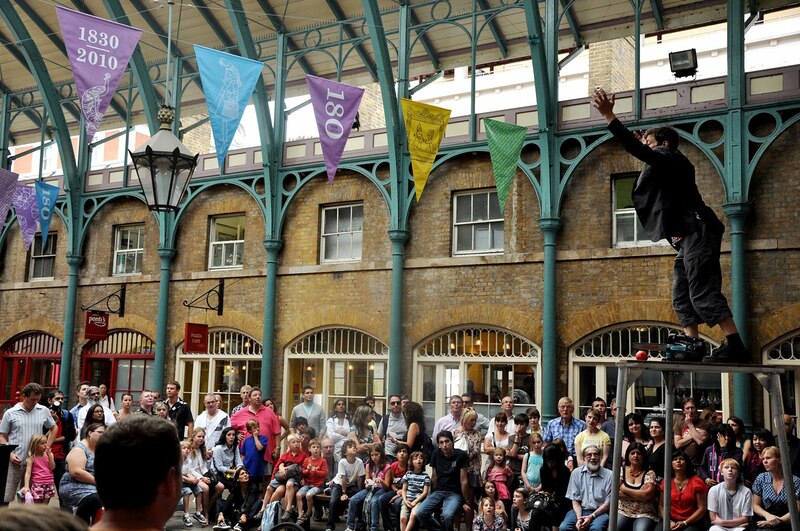 A street performer hypes the crowd at Covent Garden before his act of juggling chainsaws.